I stayed at Tune Hotel Waterfront Kuching during my weekend in Kuching on Sep. 15. When I booked my plane tickets for Kuching, the plan was to go to Sematan where my two friends were vacationing at a resort. Unfortunately, it takes a while to get there and the pools close in the evening so D suggested I stay in the city. I checked out room prices. 360xpress Hotel where I’ve spent a night before was absurdly expensive. Luckily, Tune Hotel was having a sale and I got my room for RM66 (including airconditioning and towel rental). Even though Tune Hotel Waterfront Kuching say they have a shuttle, you have to have 2 passengers as a minimum and call in advance or something. I ended up taking a RM30 cab there. 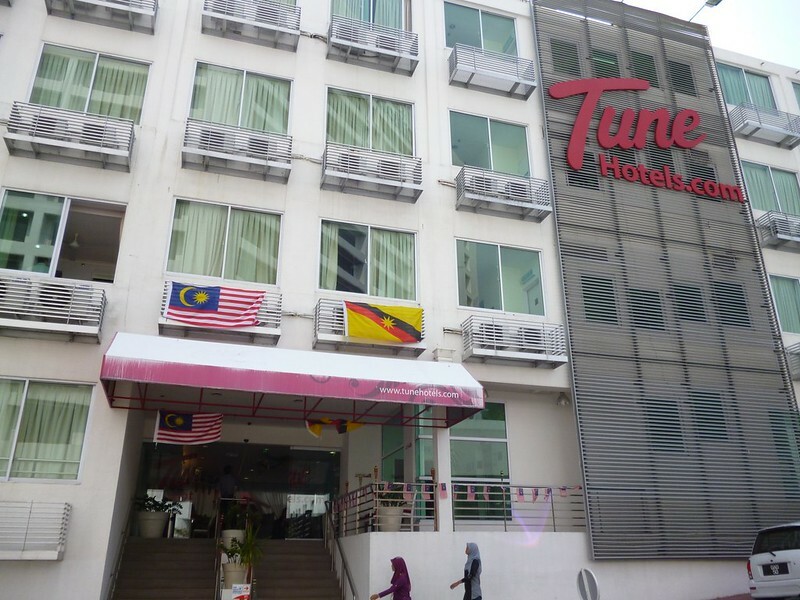 I’ve stayed at Tune Hotel in Kota Bahru and Ipoh so I was familiar with the facilities. The location of Tune Hotel Kuching was fabulous (even better than 360xpress Hotel). It’s just opposite Hilton Hotel (dimsum buffet lunch!) and a stone’s throw away from the Waterfront.